That was exactly the case when it came to our home owners and mortgage paperwork. You know, those extra long documents that are incredibly frustrating to file due to their awkward size? Well, for eons now, ours have been nestled up in our storage room, waiting so patiently for a home. And focusing on getting all of our paperwork in order reminded me, that I absolutely needed to finally do something about those crazy sized documents floating around in limbo land, and I could finally check off those random documents off of my "need to find storage" list. This actually falls back into Step 2, Setting up a Filing System, which is why I didn't exactly assign this as another step. I am just finally getting to calling this one complete is all! Seriously, isn't that pattern so happy and fun? I couldn't resist!! I instantly made up a pretty label to pop inside the built in label holder! I realized after I was done with my label, that it looked as though "legal" documents were stored inside. Like court documents. Nope, I was going for "legal sized" documents. Oh well, at least I know myself and what I think I thought I meant.... ? Then, I hopped on down to our storage room to snag up those documents waiting oh so patiently for their new nest. And I couldn't find them. Case in point. Everything needs a home. This is the type of thing that drives me batty... time to call in the folks with a straitjacket. Since the flooding, the storage room took on some extra duties and was working harder than it was typically used too, and somehow, the home documents had gotten misplaced. But after a little searching, they were found safe and sound, and I could breath again. I quickly swooped in like Superman to save them from their doom, and rushed them up to safety. I just adore that feeling of an item finding it's way to a home. One less thing clouding my brain. One more thing checked off that endless list. And the box has plenty of room if any more awkward long shaped papers make their way to our casa! I love the little "pop" of visual interest it provides! Anyone else give paper products a new home this weekend, due to the "Project Paper" monthly challenge? Do you feel like a caped superhero when you complete a little organizing project of your own? Anyone else snag up any new storage this weekend while they were out and about? Share share share!! I decided a little challenge would be fun! This month we are getting all those papers in order! Wanna join? Take pictures and blog about your awesomeness as you go! I am hoping to do a giant, "We did it!" celebratory post where we can all link up our paper filing success stories at the end of the month! Previous steps in this project: Step 1: Research, Keep, Toss, Step 2: Setup a Filing System, Step 3: Setup of a Receipt Saving System, Step 4: Maintaining Your System, Step 5: Go Paperless and Step 6: Create a Coupons System. I can relate to making mental notes/lists of things I want to accomplish/organize. I make lots of handwritten notes too, and often find that when I write or type it out on paper, I then can let it go from my mind a bit. I told you, we SO think alike! This is what I need. 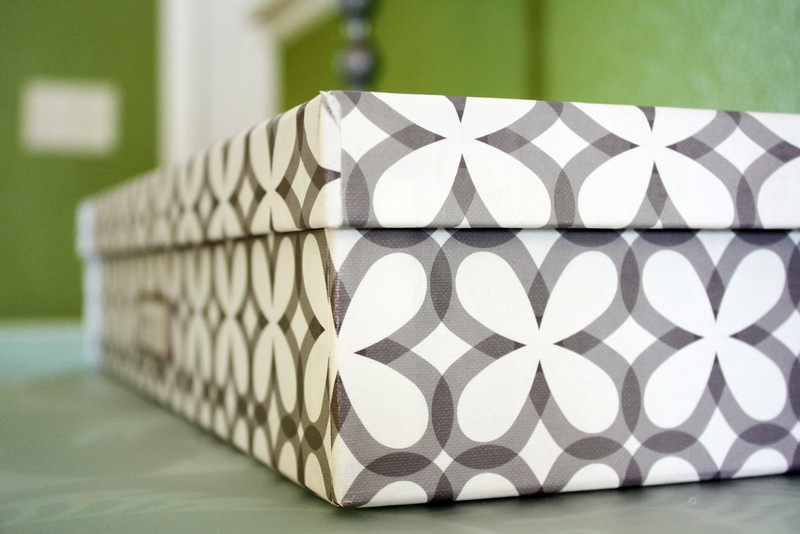 We have all of our house papers that don't fit into 'regular' sized storage containers/boxes. 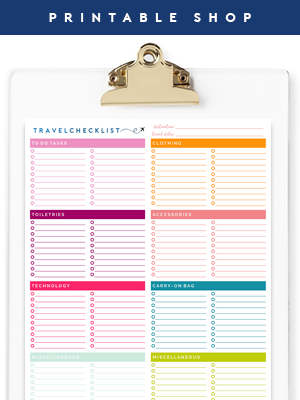 I do the same thing, but my list is long since my budjet is short so I do a lot of 'good enough' organizing until I can afford the pretties. 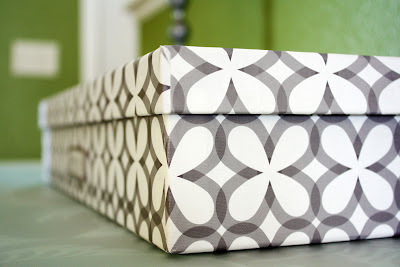 So long as it's orderly I'm happy, but I do love the pretty box's, yes I do! Your solutions are just as lovely as they are functional! Well done! 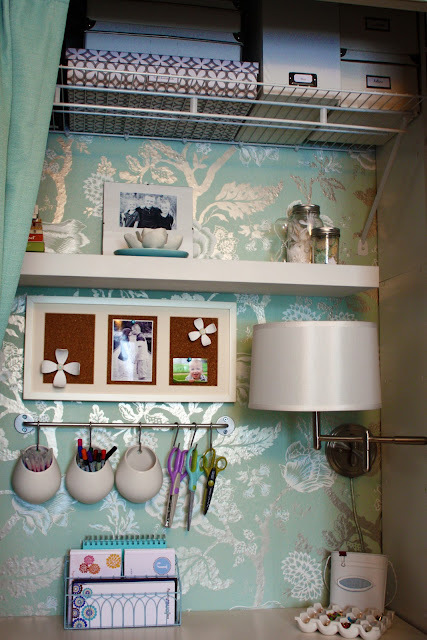 great ideas...i am so needing to get my desk area organized...i have piles of paper that need to be sorted and it's driving me nuts! Mine don't have a home yet, but I went shopping for files and labels. Now I can't wait to get started! We're supposed to get more snow this week, which means no venturing "out" for this NYC girl. 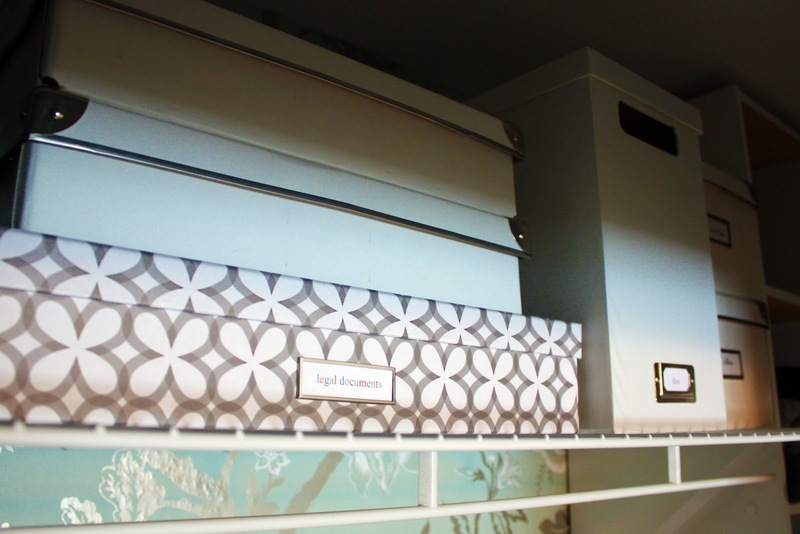 So I wanted to have my supplies on hand to tackle the file cabinet! I just started following your blog, as I heart organizing too, and I just love it! 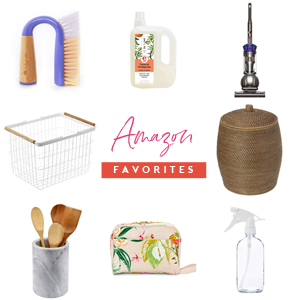 The Container Store is one of my faves of all time (in fact I just placed an order with them), and I'm so jealous that you have a local store to visit (and an Ikea - lucky)! I love that box too!! Love that box. I love that it cordinates with your white magnets flowers. Very cute. I might have to get a box like this myself. I never know where to put the "legal size documents". Great idea. As always, thanks for sharing. I picked up 3 of those plastic envelopes that you got from Target, but I just realized you have 12 sections to yours, I only have 6 sections in mine. NUTS!!! I guess I will have to come up with a good system to use them for receipts & coupons. 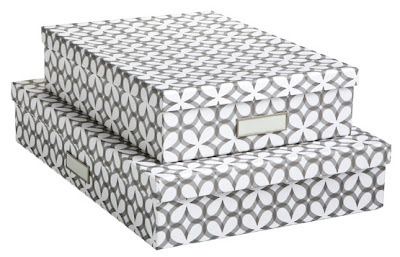 ;) I also bought a 2 inch binder from Target that has the same pattern as your clipboard (it's green and white too). I can't wait to start getting myself organized this year. I tried getting to it with you this month, but I'm not sure it's going to happen this month, BUT I'm going to try and do something this week and this weekend and then blog about it. 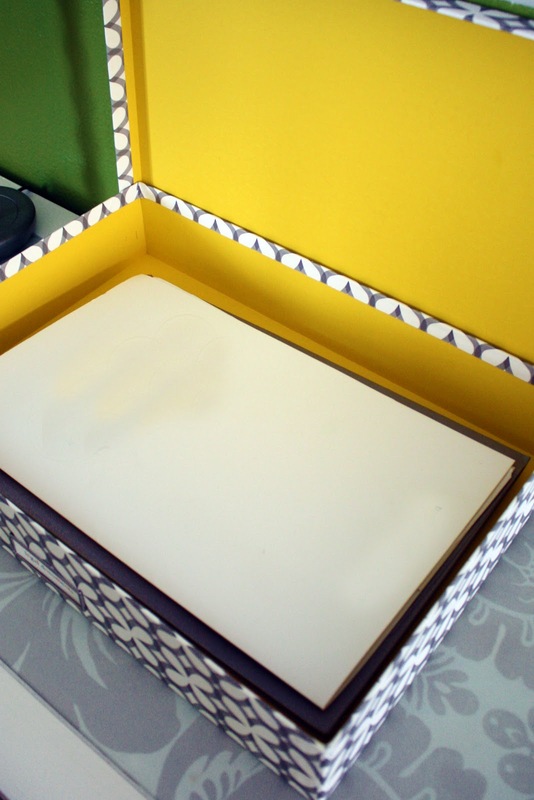 OMG that box pattern is to die for. SO CUTE! I guess it's not too bad as they are organized and out of the way, but nowhere as cute as yours! Thankfully all papers are one size here in Australia so no headaches here. Cute box and I like what you've done. 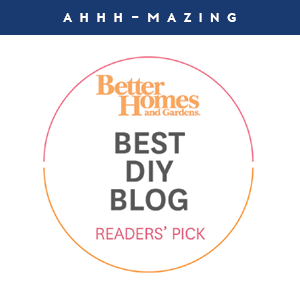 I just found your blog, and am LOVING it!! 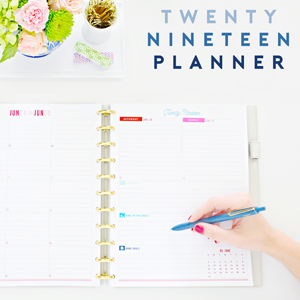 Every year, my main New years Resolution is to get organized, and I always fail. This year I finally have someone to show me how to do it!! Thank you, you are so fun to read and have great ideas that are also really cute! The first thing I have to say is, I adore your blog!!! I can relate completely. I have lists everywhere. I have lists of lists!!! My mental list is always there, even down to organizing my route when I go out, so it is the most efficient way to get everything accomplished. I don't know a lot about what legal documents one should keep in a safety deposit box. In fact,I don't even have one. I know I should. I wonder if the documents from your house and loans etc. should be kept in a safety deposit box? 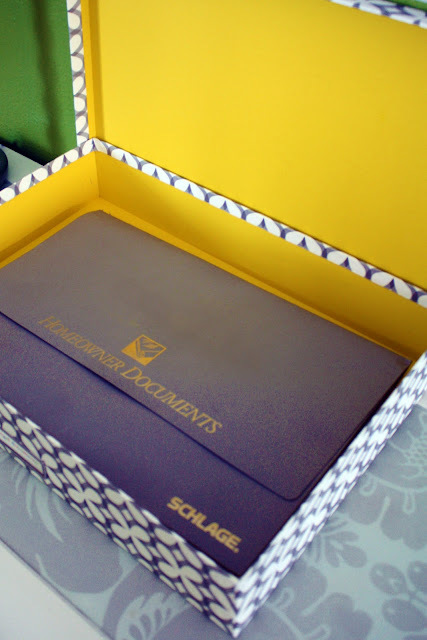 You could keep copies at home in that wonderful new box and keep originals in a safer place. Just a thought. Do you ever worry about losing documents, like in a fire or something? (You did survive a flooded basement) I've never purchased one of those fire-safe security boxes, but I always wonder if I should! We do have a fire safe with some of our very important documents and photographs. I always recommend also keeping a safe deposit box with your important documents, while also keeping copies in your home. I recently found your blog and I love it! Working on organizing my closet and I need some photo boxes (I store some of that stuff on the top shelf) - any ideas? Pretty (I'm OK with solid colors), functional, maybe more of a fabric feel than cardboard/paper on the outside...I don't have a local Container Store or Ikea but maybe you've seen something there in person (or somewhere else)? Thanks! Those containers are great. 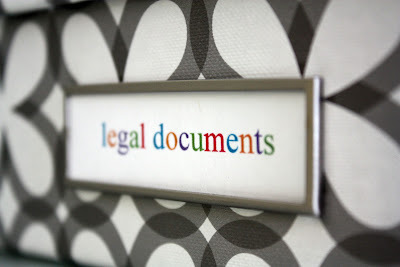 I am in the process of organizing all my important documents as well and this idea will be perfect. Thanks! Well Jen, I've just read your 6 steps for project paper and you've kickstarted some of my resolutions for 2011. I went to Big W today (Australia) and picked up a small document wallet with thirteen pockets which will be used to sort out my receipts. And then I will get started on some of my other paperwork too. Looking forward to the upcoming months and more organisation challenges - I know I need it!! OMG! That's too funny, my trash can matches those boxes! Thanks for sharing this great find! 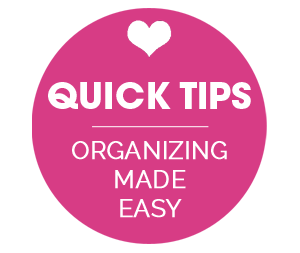 Organizing files are often taken for granted since people have little to no time doing them. Being organized will pay off in the long run when one is looking for important documents such as passport, contracts and many more. Good luck in future endeavors!